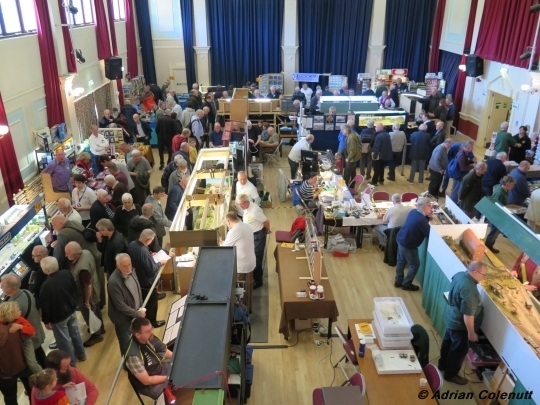 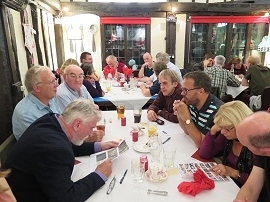 The 2018 exhibition was another great success with sixteen layouts attending. 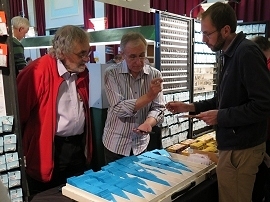 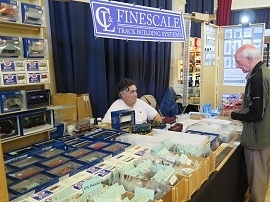 There were twelve diverse scale/gauge combinations on show including those in 1:34 scale, 0, 0-21, 0-16.5, 5.5mm scale, P4, EM, 00, 00-9, 3mm/ft finescale, British N and 2mm/ft finescale. 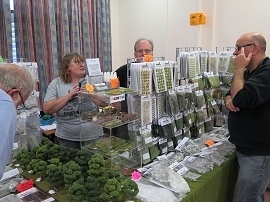 Once again something for everyone! 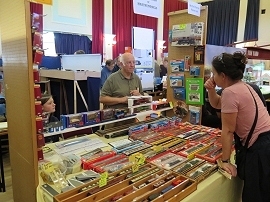 Layouts traveled from as far away as Berkshire, Cornwall, Devon, East Sussex, Hampshire, Kent, Somerset, Surrey, West Sussex and Wiltshire portraying British, French and Irish standard and narrow gauge prototypes. 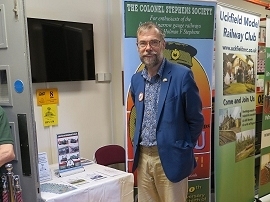 The 31st October 2018 was the 150th Anniversary of the birth of Colonel Holman F. Stephens, who in the early decades of the last century engineered, built and managed a unique empire of branch line railways up and down the country. 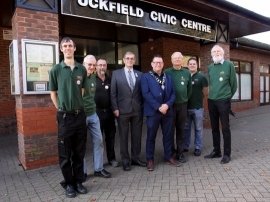 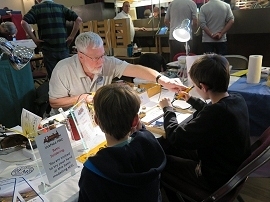 As part of these HFS150 celebrations, the 2018 Uckfield Model Railway Exhibition featured several layouts either portraying a Colonel Stephens railway or inspired by one. 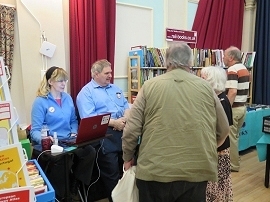 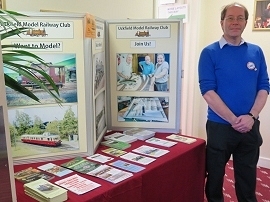 The Colonel Stephens Society was present with a small society information stand. 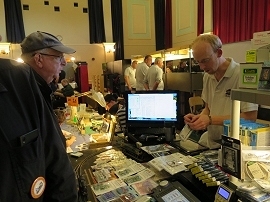 Fifteen members of the trade, including specialist manufacturers, had a presence at the show. 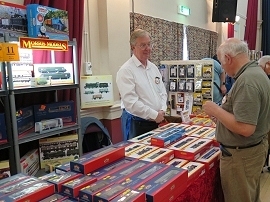 This year we welcomed Paul Heafield, formally of Heath Models & Toys, and W.M. 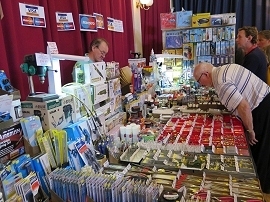 Collectables of Haywards Heath who occupied the stand vacated by Barry Jones who retired back in December 2017. 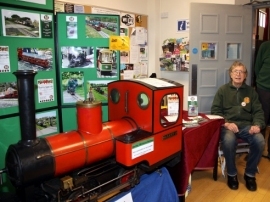 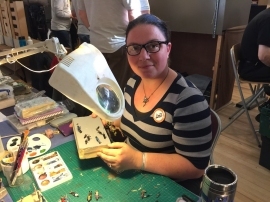 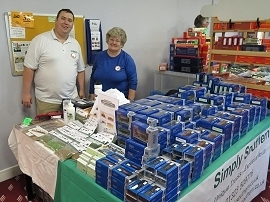 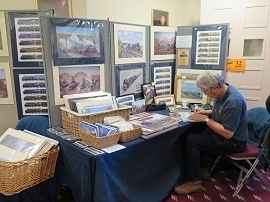 There was a display by the model engineers from the Bentley Miniature Railway as well as popular demonstration stands manned by guests Roger Sawyer (soldering) and Cat Gibbs (figure painting). 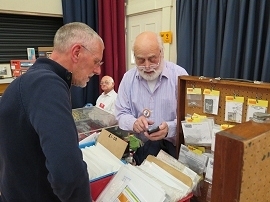 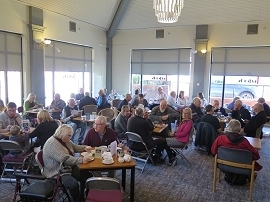 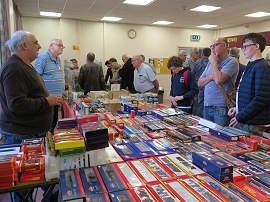 The show was very successful, with many comments being received as to the high quality of the exhibits, the variety of trade goods on offer and the general friendliness of those taking part. 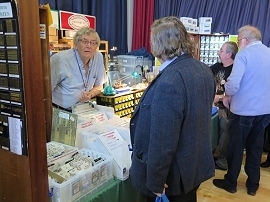 Throughout the weekend the visiting public was asked what layout they thought was the "Best in Show". 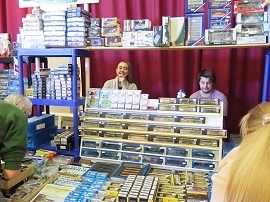 The 7mm/ft scale 32mm & 16.5mm gauge (0 & 0-16.5) layout The Yard constructed by Martin Coombs and friends picked up the most votes and they were presented with a special plaque for mounting on the layout. 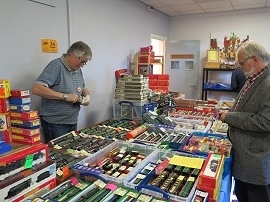 Hinksey Yard by the Epsom & Ewell Model Railway Club and Hobbiton End by Simon Addelsee were joint runners up. 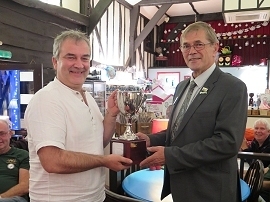 The Keith Nock Memorial Trophy for the best layout in show as voted by exhibitors, trade and members was awarded to the 2mm/ft finescale layout Foxcote New Pit constructed by Jerry Clifford.